A complete home replacement focused on your information. Shows summary information for SMS, GMail, Phone calls, Calendar, Google Reader, Stocks, Twitter and Facebook. See http://slidescreenhome.com for more details! Submitted by jan.hebnes on Thu, 05/13/2010 - 12:23. 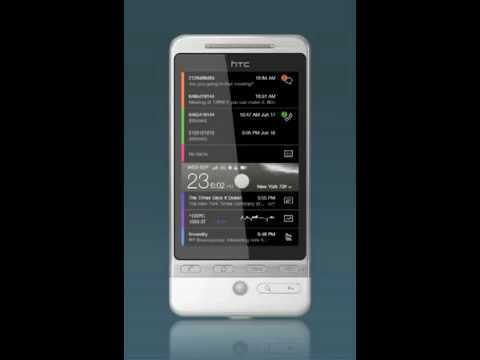 HTC Sense is out / SlideScreen Pro is in ! I just want to share that i used HTC Sense on my new HTC Desire for 10 days and found slidescreen pro, I found that the more simple interface combined with the rich amount of data visualized in one screen makes my overview better and when i want to perform an action it is faster for me to do with SlideScreen Pro as default home screen.